Mihail Barboiu received his PhD in 1998 from the University of Montpellier before spending 2 years as post-doctoral researcher with Prof. Jean-Marie LEHN at the University Louis Pasteur in Strasbourg. He is CNRS Research Leader at the Institut Europeen des Membranes in Montpellier and Fellow of Royal Society of Chemistry. A major focus of his research is Dynamic Constitutional Chemistry toward Dynamic Interactive Systems: adaptive biomimetic membranes, delivery devices etc. Author of more than 250 scientific publications, 3 books and 20 chapters and 350 invited conferences and lectures, Dr Barboiu has received in 2004 the EURYI Award in Chemistry and in 2015 the RSC Surfaces and Interfaces Award for the development of artificial water channels. 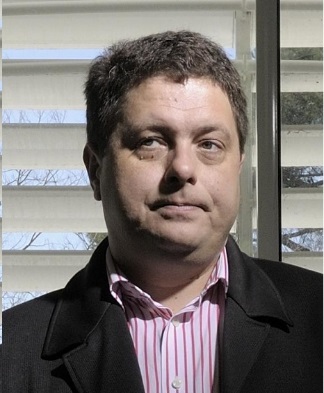 2001-present: Senior CNRS Scientist: Institut Européen des Membranes de Montpellier, France. 2007-2012: Associate Professor University POLITEHNICA of Bucharest. 1993-1998 Head of Supramolecular Chemistry Department Research Centre for Macromolecular Materials and Membranes of Bucharest, Romania. 1. Royal Society of Chemistry, RSC Surfaces and Interfaces Award 2015. 3. Titre de reconnaissance pour les travaux en 2015 en Chimie Société Chimique de France -2015. 8. Gold Medal – Ist Balkan Chemistry Olympiad - Bucharest, Roumania, 1987. 1. M. Barboiu, Y. Le Duc, A. Gilles, P.-A. Cazade, M. Michau, Y.-M. Legrand, A. van der Lee, B. Coasne, P. Parvizi, T. Fyles. An artificial primitive mimic of Gramicidin-A channel, Nature Comm. 2014, 5, 4142. 2. 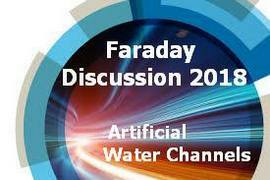 M. Barboiu and A. Gilles, From natural to bio-assisted and biomimetic artificial water channel systems. Acc. Chem. Res. 2013, 46, 2814–2823. doi: 10.1021/ar400025e. 3. Y.M. Legrand, A. van der Lee, M. Barboiu, Single–crystal X-ray structure of 1,3-dimethyl-cyclobutadiene by confinement in a crystalline matrix, Science, 2010,329, 299-302. 4. Y. Le Duc, M. Michau, A. Gilles, V. Gence, Y.-M. Legrand, A. van der Lee, S. Tingry, M. Barboiu, Imidazole I-quartet water and proton dipolar channels, Angew. Chem. Int. Ed. 2011, 50(48), 11366-11372. 5. 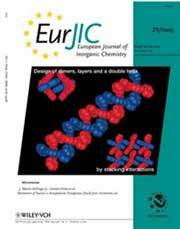 M. Barboiu, Dynamic Interactive Systems - Dynamic selection in hybrid organic-inorganic constitutional networks, Feature Article, Chem. Commun. 2010, 46, 7466-7476. 3. Systems Membranes- complex roadmaps toward functional devices and coupled processes, Mihail Barboiu Editor, 2010, PRINTECH ED, Bucharest Romania, ISBN 978-606-521-526-9. 4. Coordination of a Special Issue of Journal of Membrane Science 2008, edited by Elsevier: "From simple molecules to complex membrane systems: bringing the molecular information to membranes and the converse"